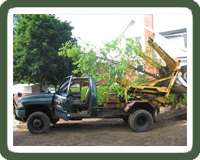 Instant Tree specializes in all types of tree transplanting and uses a professionally designed truck-mounted tree spade that ensures proper digging and planting. We sell trees of all species, and guarantee you'll be completely satisfied with our service. Serving Ingersoll Ont. and Oxford County, Instant Tree offers 20 years of experience in tree removal and the tree transplanting business. We handle and stock all types of tree species, and if we don't have what your looking for, we can track it down. Our equipment is very property friendly and can accomodate your every tree transplanting need. Having problems with your yard landscaping and need some trees moved ? We can help ! Our years of experience in transplanting is second to none. Our prices and reputable service are top notch. Let us help you in creating that beautiful yard you've alway's dreamed of ! Copyright © 2015 Instanttree All rights reserved.